Taulman techG PETG is a versatile industrial polymer that comes with the Taulman's signature strength. This FDA-approved raw polymer comes with full documentation, making it especially attractive to professional engineers and designers. TechG PETG performs better than most other materials, providing resistance to chemicals, high viscosity, minimal shrinkage, and optimal bonding. 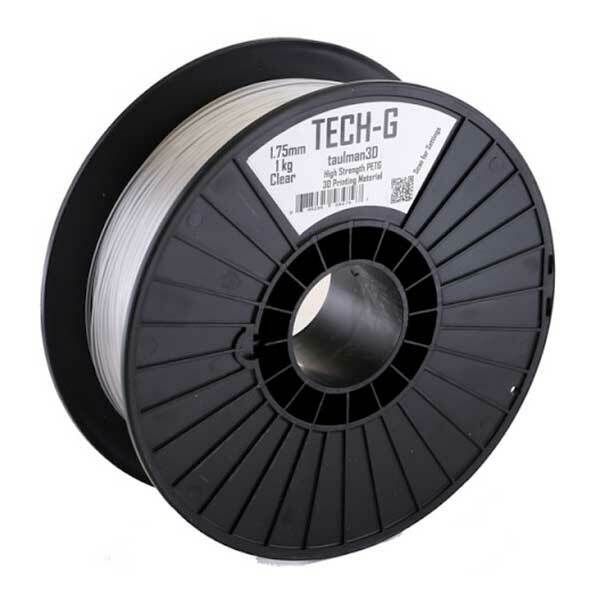 techG PETG is great for engineering projects that require strength and accuracy. Surface Treatment Requirement: This material can permanently bond with glass, resulting in damage not covered under warranty. Always use a surface treatment, such as blue painter's tape, when using this material.